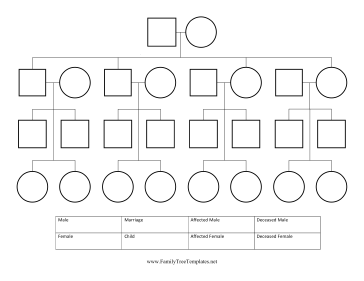 This free, printable pedigree chart is great for genealogists and family tree projects. It tracks the descendants of one couple, including their children, the child's spouse and grandchildren. Males are represented with squares and females with circles. A key at the bottom helps define genetic traits, marriage and death.